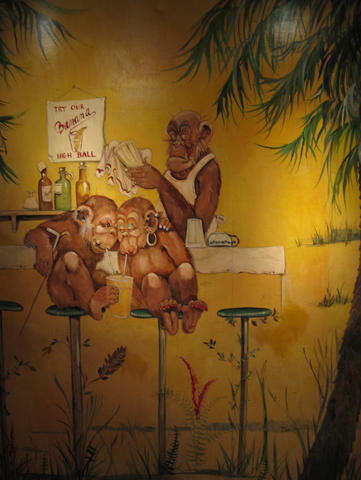 Though Monkey Bar opened in the ’30s, its simian murals weren’t painted until the ’50s. Tennessee Williams made his home at the Hotel Elysee above the Monkey Bar. He died there in 1983, allegedly from choking on a bottle cap. Tallulah Bankhead also lived in the Elysee and was known for her provocative behavior at the restaurant—one tale has her on the piano wearing a mink (and nothing else). Graydon Carter‘s revamped version of Monkey Bar is open now.